Been quite a week. A lot to learn. A lot to do. A lot of progress in store. Relentless! 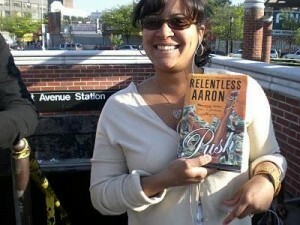 REVIEW: Relentless Aaron has written another wicked novel that has his readers begging for more. This tale of drug kingpins, gun-toting biker chics, sheisty women, informants, and shady law enforcement officials is so INTENSE, so DEEP, it reads like a movie. There’s so much to the storyline it’s like your actually getting two or three books in one! The twists and turns in this RAW and GRITTY novel make it all the more exciting. You never know what is going to happen next. And when reading Relentless, don’t even try to guess! Let me tell you…if you thought ‘PUSH’ was hot “you ‘aint seen nothin’ yet”. 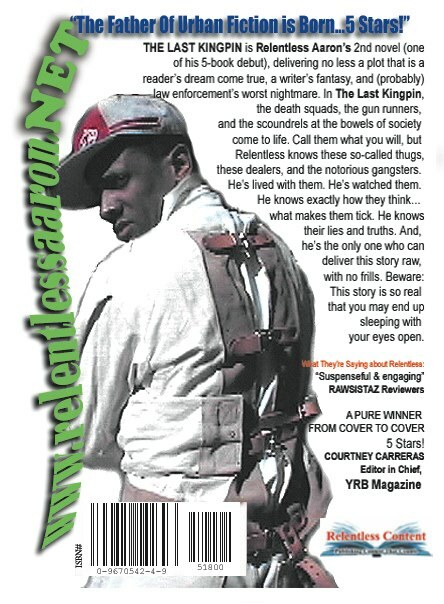 Pick up ‘The Last Kingpin’ today. This one is off da hook! E-Book to be available here soon. From prison and selling books on street corners to signing a six-figure deal with St. Martins Press and writing books for 50 cent, Relentless Aaron has run the spectrum. From the feature articles on him in King and Black Men Magazines to the profiles on him in Time Magazine and the New York Times, Relentless Aaron has been busy and in the public eye. 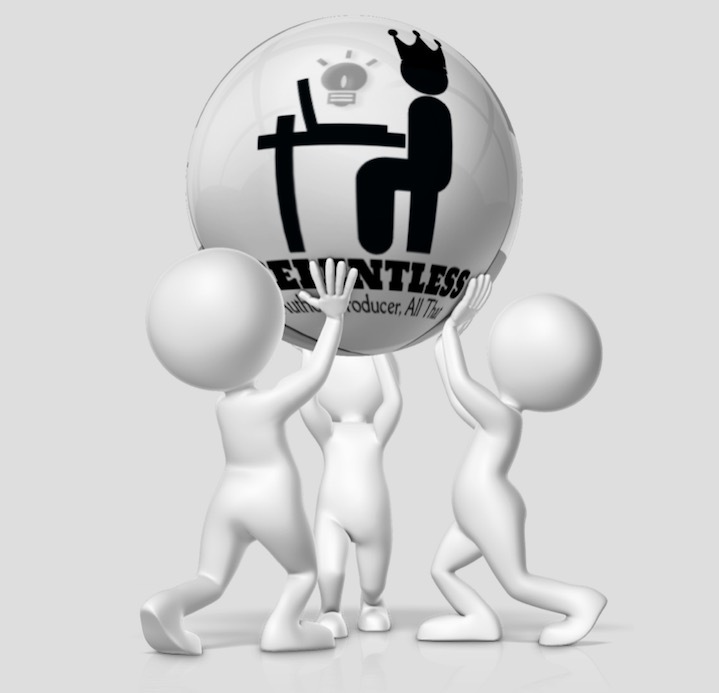 He self-published 11 books on his Relentless Content label before being signed by the majors and now that he’s in the big leagues Relentless is doing his thing and becoming an industry leader. He’s come a long way from doing time in the feds and is an inspiration to other prospective authors and writers doing time and hoping to make it big. 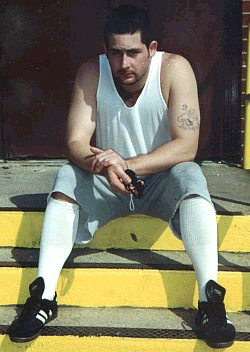 His most recent release is the G-Unit/50 Cent published Derelict. But let him tell it. Seth: How is Derelict doing? 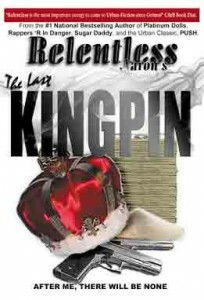 Relentless: Seth, I learned long ago not to judge the success of a book by the numbers, because, based on the whims of the wind, or whatever seems to be “floating a particular reader’s boat,” a book can be called good, bad, or incredible. Part one of Derelict has been accepted (overall) as a damn good book, especially by my readership. However, I don’t think the public knows that this is just part one of a two-part story. Part one took you through Dix, and to the door at the time of Jamel’s release. Part two gets into the revenge he’s launching on the streets. Seth: How did you get hooked up with 50? can pitch any of the three dozen books I’ve written to various artists in the company, or in extension thereof. If you don’t know, Violator is also partnered with Warner Publishing and Jive Records for branding and licensing of intangible and intellectual properties. And when it comes to properties, I am a king. 50 Cent and I have seen each other, in and out of his office, more than I see my mother, father, cousins and best friends. It’s crazy how life works. My agent had already been pitching to G-Unit books, even while I was establishing my involvement with Violator. So, it’s all part of this “strategic alliance” I conducted. Seth: What else do you have coming out? 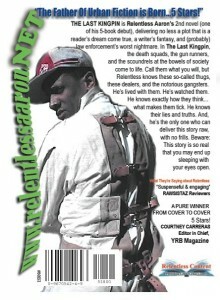 Relentless: I’m done with Single with Benefits, a new book written after my time in prison. I’m about to shoot a movie for Extra Marital Affairs, and there are a series of other books I’m working on, including Toe Tag, a series I have going in partnership with a former Medical Examiner, Garnell Brown, from Queens. He bagged, tagged, cut open and stitched up more dead bodies that even I could imagine. So, with his internal knowledge and experience and my craft for writing, we are the next dream team. Seth: What do you think of the Urban Fiction genre? Relentless: Believe it or not, I coined this phrase almost 15 years ago, before it was ever printed, talked about or used in book stores. I started using the term “Urban Fiction,” and I fully intended to live up to it’s standards of developing plots and characters which portray life as we see it in and around the hood. 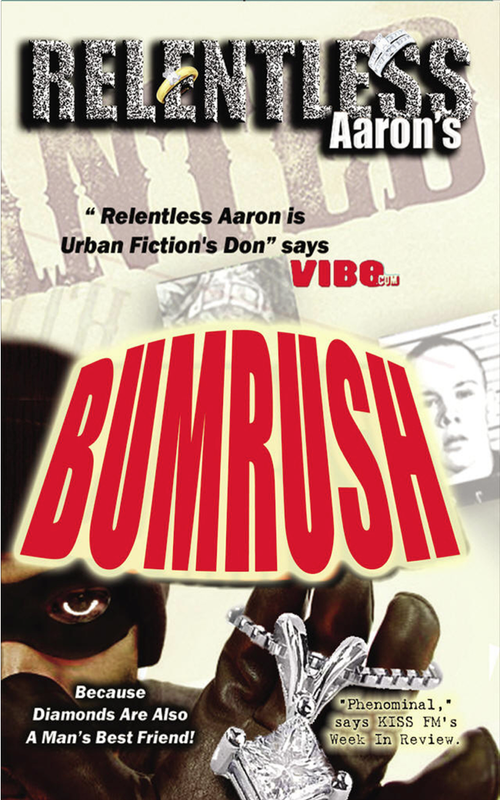 Today, there are many variations of Urban Fiction, also called Hip-Hop Lit, Urban Lit and Street Lit. It’s all good, as long as it encourages others to read. There’s so much ignorance in our culture, and we have to beat it down in every way possible, because, ultimately, the more you know, the more resourceful you are in life to deal with life’s issues. 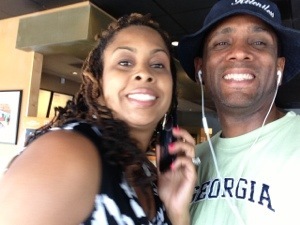 Urban Fiction is my first love; it saved my life, and it supports my family and the world I’ve created. Seth: What authors do you like? Relentless: It’s no mystery that I am a huge Guy Johnson fan, author of Standing at the Scratchline and Echoes of a Distant Summer and Sam Greenlee, author of The Spook Who Sat by the Door, who also has a cameo in my book PUSH. Otherwise, outside of their writing, I like Crystal Lacey Winslow, Kashamba Williams and Kwame Teague, because they’re beautiful people. I think we sometimes forget that the book is merely the vehicle to convey a message of personality, character and experience. Having not read these authors, I have still purchased (and sold) their books because (as you asked) I like them! Seth: What is up with the movie deal? Relentless: The writer’s Strike! F**k! The screenwriter that’s doing Push with Bill Duke is part of the union, and Duke’s office called me weeks ago to inform me that production was at a stand-still. I pray that this ends. In the meantime, as I mentioned we’re about to go into production on Extra Marital Affairs. We shoot a teaser in a few weeks up at the house, in the Pocono’s, where I wrote the book. Seth: What going with your blog? 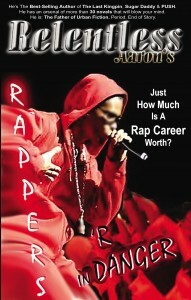 Relentless: I try to keep it poppin’ with tips and advice for aspiring authors and aspiring publishers. I keep it real and try to convey relevant data at all times. With the advent of video-streaming, there will soon be a window at the top of my blog where a viewer can visit the page and watch what I’m doing. Score one for the stalkers and the haters! Seth: How has your success taken you? 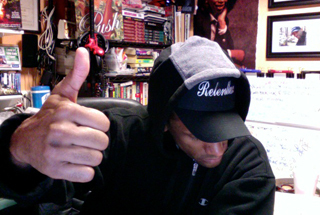 Relentless: I’m always on the grind. People who know me will tell you that. One day, when a real documentary is done about me, the comments from others are those that will detail the truth behind my being “Relentless.” Yesterday I spoke at Jesse Jackson’s “Wall Street Project.” Last year I spoke to the employees of Time Warner about the emergence of publishing and multimedia and how I personally make it click for my brand. And of course, I was floored and flattered to have been voted Author of The Year in 2007 at the world’s biggest book publishing event. It is growing fast, and I am more focused than ever at remaining the G. O. A. T. of this industry. Seth: How did you get your first deal? Relentless: They called me. I turned them down, cocky and confident as ever. They called me back to talk about something different, outside of what I had already written. And so, we contracted for four new releases, Extra Marital Affairs, Lady First, Single with Benefits, and a currently untitled project scheduled to be released in 2009. I piggybacked that deal with a mass-market contract for ten of my pre-published works. Hence, I signed a 14 book deal, the biggest publishing deal ever for a debut author. Seth: Any advice for upcoming or aspiring writers? Relentless: Master your craft and the world will come beating down your door! Seth: Who is hot right now, beside yourself? 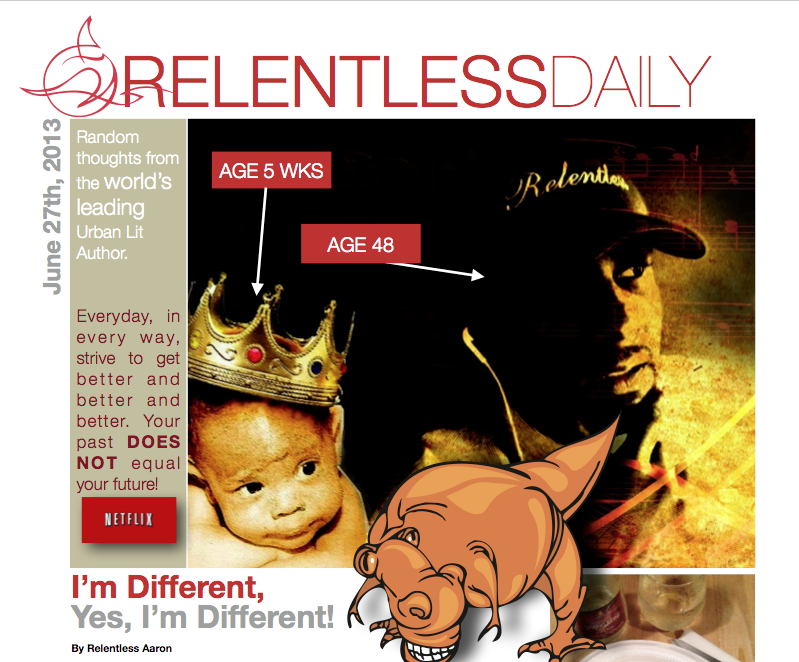 Relentless: I think Richard Jeanty is someone to look out for. I think he “gets it.” And that he helps to revolutionize the art and the genre. I also think Treasure Blue and Kwan are hot. Crystal Lacey is holding it down for the females of the genre. Do support Relentless by adding Bumrush to your Summer reading list. Its riveting, captivating and a thrill ride that takes you inside of one man’s experience in the Marine Corp, and how that graduates into him becoming a diamond thief; of all places, in New York City! STICK ‘EM UP! Relentless is at it again! For so many years, I grew up with a radio DJ repeating that quote at the end of every show. 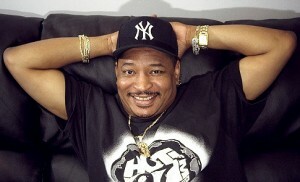 His name was Mr. Magic (or bka: Supa-Rockin Mister Magic) and his quote at the end of each show simply included “Persistence overcomes resistance.” I can imagine that most Radio Personalities leave the air with some sort of famous quotation to stimulate the minds of their listeners. However I must admit that understanding the value of that very sage advice had not set in until the later years of my life. I’m talkin about my 30s and 40s, where I came to realize that being consistent (same as persistent) is what led to so many great accomplishments. Note, that certain life decisions and coincidences may impact or impair your ability to maintain consistence. 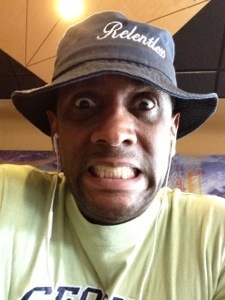 It is my theory that AVOIDING such pitfalls will allow you to experience the true “distance” of your goals & purpose. Afterall, how many of us can identify a time in our lives when we made a decision that created a major shift? (I’m not talkin at the gas-pump, either!) But that life decision was either a great one or a tragic one. Right? For all these years I have been consistent in filming the activities of my life and the people who I connect with. For much longer than that I have been networking and connecting with “like minds,” such that the “Law of Correspondence” affirms. But for way longer than that, I have been writing both creatively and in my studies. So when you put it altogether, (when you do the math) my success is anchored by my filming consistently, my networking consistently, and my writing consistently. I can go back some 25-plus years to find footage of activities that today are either entertaining or resourceful. And by the same measure I can look back 30 years or longer to find people who I know today and network with today. This has led to a large community and network, one that supports me and with which I resource from time to time. But above all, whether I am in class or alone I have always been writing. I have adopted a practice and a routine that keeps me in love with the ink pen and the line paper. Yes it is fun to type on a keyboard and see your words appear on the screen faster (or so it seems) then in longhand. However, in making my point, I have only been consistently practicing typing since 1992. And what is 20 years of typing compared to 40+ years of longhand? For the past five or six years I have been consistent in my workout routine and in my health/eating habits. That has led to the best body that I have ever known as well as the best healthy/energetic feeling. So then, when I do my own review, I find I have been most consistent in my life with expressing myself creatively, critically or otherwise in my writing. And over the next 5 to 10 years, God willing, my physical health will catch up with the mastery that I’ve experienced in writing and connectivity and video production. Wow. To do the math in my own life is pretty damned amazing. But do the math in some other well-known master’s lives and you’d see the same results. Tiger, Michael, Mike, Leonardo, Jack, Barack, Denzel, Marshall, Benjamin, Russell, Jenner, Bannister, and so on. I mentioned first names (mostly) because I know you will easily put a face with the names, be it acting, sports or music. Regardless who, they were all CONSISTENT. So now what have you been most consistent at? If my mojo is in my writing, video production and connectivity, then where is your mojo? Where is your strength and consistence? And is that strength and consistency and Mojo something you have mastered? Is that something that is benefiting you? Perhaps something that is providing for your family or your well-being or your own sense of accomplishment? Consistency is one of those lifelong lessons that I have learned from my mentors, whether it was boxing, sales, or writing. And the more I embrace consistency, the more accomplishment I recognize. This is why and how I have written and sold so many novels, and why I have such a huge readership. This is why I have 600+ videos and millions of references on the Internet. This is why I am very connected in the world. Consistence. So THIS Is What A “Day Off” Is Like? But the other side of me says that I need to do more promotion. And I hate doing promotion/Doesn’t everyone? Once you are proven and that you have a track record, why in the world would you need to promote? Well the truth is that time has caught up to us where everything is fighting for our senses all at once. So if you are not a warrior on that battlefield, then you are either a casualty, or at least a spectator on the sidelines watching. I came into this industry of book publishing as a juggernaut. Nobody was going to question me, nobody was going to tell me what I could and couldn’t do, and nobody but nobody was going to outdo my value and work ethic. Just where does your personal energy live? Are you improving someone’s life with your product or your service or your message? And maybe you don’t have a talent or a certain skill set; maybe it’s just in your energy, your personal power, and how that is a magnet to others. want to question you and the struggle that you’re going through to try to be a magnet…your challenge in being recognized in this world. Okay so WHAT you have a shiny new Mercedes and maybe a note to pay. Okay you have a big house and maybe a mortgage to pay. All of those responsibilities require you to wake up in the morning and do what it is that you may not love doing. And clearly you can’t love what you’re doing if you’re questioning how I’m doing. I mean people who are so focused on the lives of others, busy criticizing and complaining about how others are living… those folks are not happy! They may not have the option I do to rollover and decide to take a day off. And if they do, they may have to back that action up with a lie!